In bloom. 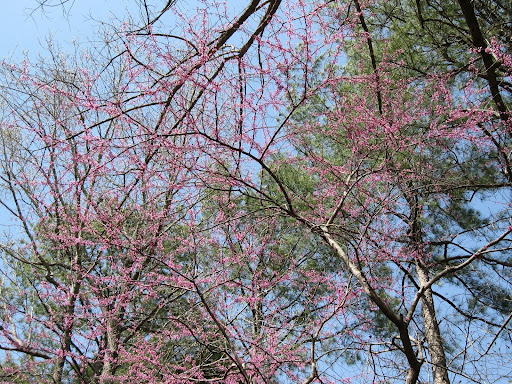 Usually the first sign of spring: purple blooms on one of my red bud trees. Its a good thing that woodworking is still mostly a hobby for me. If it was a significant source of income, I wouldn’t have done too well this week. I have a new distraction in my life – my yard. It is common to see woodworkers comment on Twitter how their day job is interfering with their love for woodworking. How about the yard? Spring has arrived early in Alabama. Various trees are in bloom and other plants are starting to emerge including the early weeds in my yard. So in addition to woodworking, I have had to spend time taking my yard from a state of total embarrassment to simply less embarrassing. Back when I made twice as much money as I do now, I had a lawn service that had whipped my yard into such good shape, I would get compliments from the neighbors. That ended and I am in charge of the weeds which is a full blown battle at this point – one which I shall soon gain the upper hand. See more photos at Boston.com. And while I fuss with my yard, I am grateful that my yard is my biggest frustration right now. I mean I could be dealing directly with the effects of a monster earthquake and the resulting tsunami. 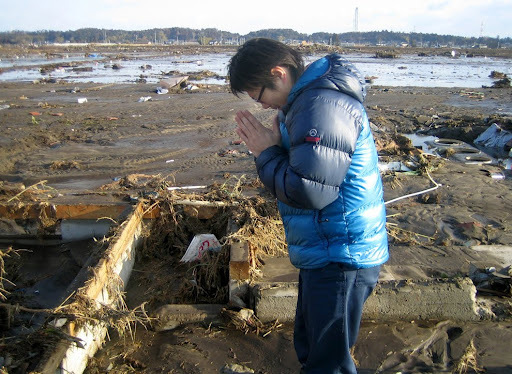 My we all do what we can to help the people of Japan. Lets be in prayer and may God Almighty bless them and comfort them. Some progress. After careful thought, I bought some lumber on Thursday – the stuff to be used for the beams indicated in blue. I still have to pick up the lumber for the beams that run front to back. I purchased some lumber this week. 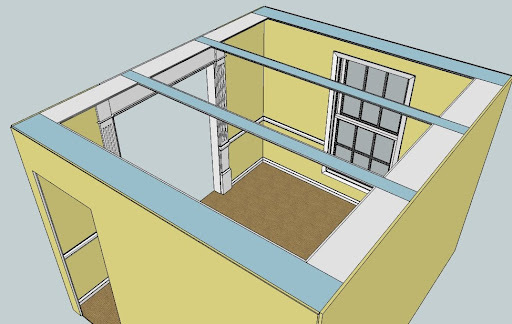 In the comments of my last post, there was some discussion about using MDF for the beams. I gave MDF great consideration, but settled on some so called “Top Choice” pine at Lowes. I think the brand name for this lumber is down right misleading. It would be different if the definition of Top Choice meant low quality, full of defects, warping lumber. But Top Choice implies it is a premium material which this wood just isn’t. The main reason I selected pine over MDF was the need to install these boards full length (one piece) at a time. I was able to get 10’ 1 x 10’s and I’ll go back later to get the remaining boards which will need to be twelve footers. The longest length of MDF I could find was eight feet – not long enough. My only concern with pine 1 x 10’s is that there will likely be significant expansion and contraction along their width, so I have been mulling over the best way to deal with that. Snappy. 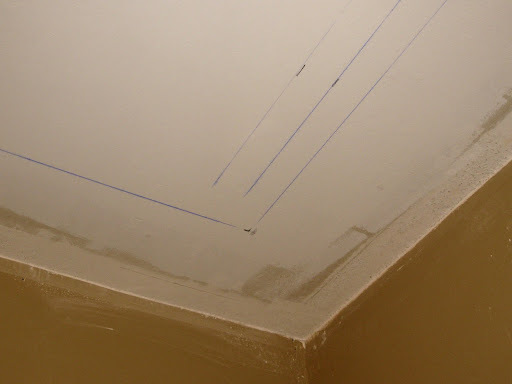 Chalk lines have been snapped indicating a rafter location as well as the outer limit of the beams. Today, with the help of my daughter, I located the ceiling rafters with a stud finder and got out my chalk line and snapped their location as well as marking the location of the beams. I will take a vacation day both Monday and Tuesday (it is Spring Break here) and I hope to make some more progress on this project then. To see the next post in this series, click here. To view all the posts, click here. This is post four in this series. The nuclear situation in Japan seems to get worse by the second. This is Robert S. by the way. Jeff – Lowe's is bad enough but Home Depot is even worse nd all for a few pennies less. When anyone ask wha side of he street I live on when they seed directions I always tell them to look for the house with a unkept yard and that is mine. As bad as it is in Japan it can get worse if they don't get the neulear plants under control. I never understood the logic in building a nuclear plant that not only is subject to earthquakes but tidal waves as well. It would seem to be a prescription for dissater wating to happen. Robert – good to hear from you. Hope your family is doing well. David – I know what you mean about the nuclear plants in earthquake zones. I am concerned about those in California.